Ireland will not get involved in three way talks on the UK’s departure from the EU, Taoiseach Leo Varadkar insisted this week. He was responding to suggestions by Prime Minister Theresa May that Ireland might help the UK draft a tailor-made a solution to avoid a hard Northern Irish border after Brexit. 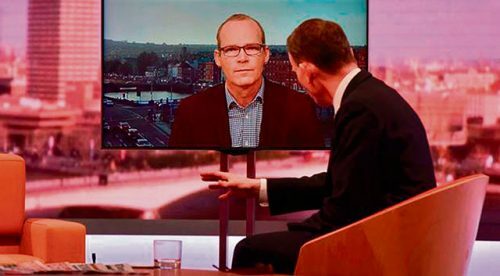 Mrs May had told BBC TV’s Andrew Marr Show, in a pre-recorded interview taped after her London Brexit speech on Friday, that she was pleased Mr Varadkar, had agreed to form three-way talks to look at her proposals and pledged that she and Foreign Secretary Boris Johnson were both “absolutely clear” that there will not be a hard border. 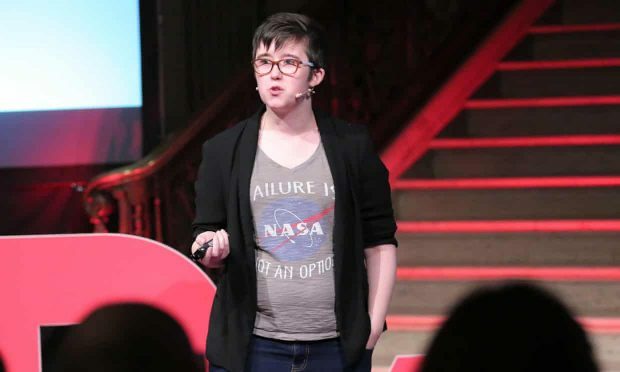 “We’ve got proposals as to how we’re going to achieve that, now we’re going to be able to sit down and talk with others about how we’re going to do that,” she said on BBC. But the very next day Mr Varadkar repeated his earlier insistence that Ireland will resolutely remain one of the EU27 with the EU’s chief negotiator Michel Barnier representing all member states. Mr. Barnier was this week meeting the leaders of Northern Ireland’s main political parties, Sinn Fein’s Mary Lou McDonald, Michelle O’Neill and and the DUP’s Arlene Foster at separate sessions in Brussels. 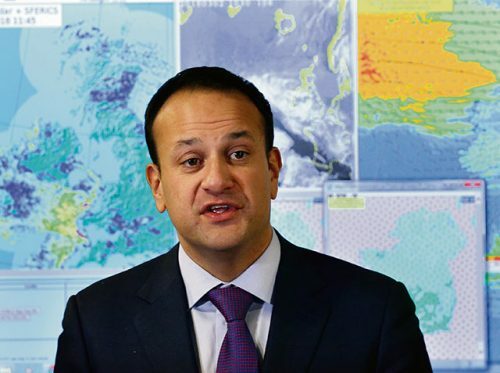 Mr Varadkar, meanwhile, said he was giving Mrs May’s keynote Brexit speech of last Friday a guarded welcome but said what is really needed at this time is for Downing Street to actually produce some detail about its broad proposals. “What we want is not so much principles and aspirations and red lines. “What we want is detail, written down in black and white that can be codified into law and that is what is required,” said the Taoiseach. “There won’t be tripartite or three-way talks. What will happen is that there will be talks between the EU 27 and the UK, and Ireland is part of the EU 27 and we’re much stronger by the way as one of 27. 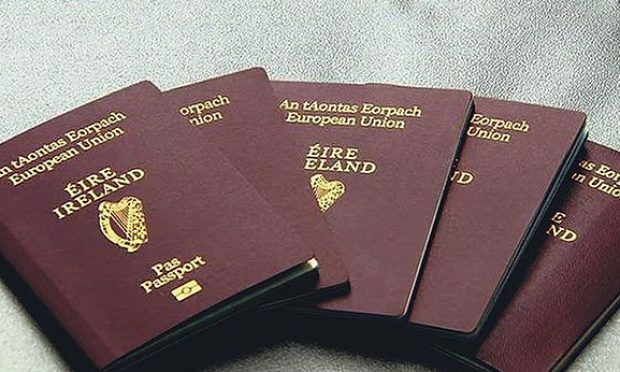 Mr Varadkar’s deputy, the Tanaiste and Minister for Foreign Affairs and Trade Simon Coveney earlier suggested the EU would be unable to accept a proposal by Mrs May that small businesses trading across the Irish Border might be exempted form customs controls after Brexit. He was speaking on the same TV programme as Mrs May made her remarks. Mr Coveney said: “While, of course, we will explore and look at all of the proposed British solutions, they are essentially a starting point in negotiations as opposed to an end point. 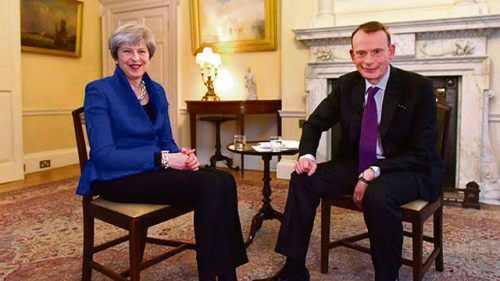 Cabinet Office minister David Lidington, Mrs May’s unofficial deputy, told a rival TV show, ITV’s Peston On Sunday, that her Friday speech had been an “ambitious opening bid” for trade negotiations and conceded her customs plans could be changed to accommodate EU concerns. Former Northern Ireland Secretary, European Commissioner and Trade Secretary in Tony Blair’s and Gordon Brown’s Labour governments Peter Mandelson, now in the House of Lords and vehemently anti-Brexit, told the same programme: “What Theresa May is doing is trying to dance on the head of a pin that simply doesn’t exist…it will be painful for the country as a result.